Sara Ali Khan and Sushant Singh Rajput continue to promote Kedarnath as it hit the theatres on December 7, 2018. The young actors were snapped promoting the film at an event together in Mumbai on December 6, 2018. 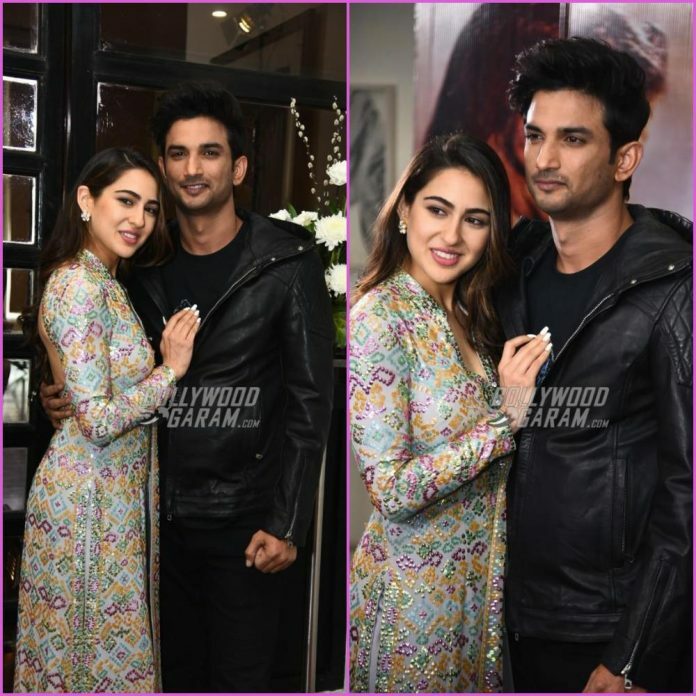 Sara Ali Khan and Sushant Singh have been in news for their amazing on-screen chemistry that they have shared in the flick. The film has marked the debut of Amrita Singh and Saif Ali Khan’s daughter Sara in to Bollywood. 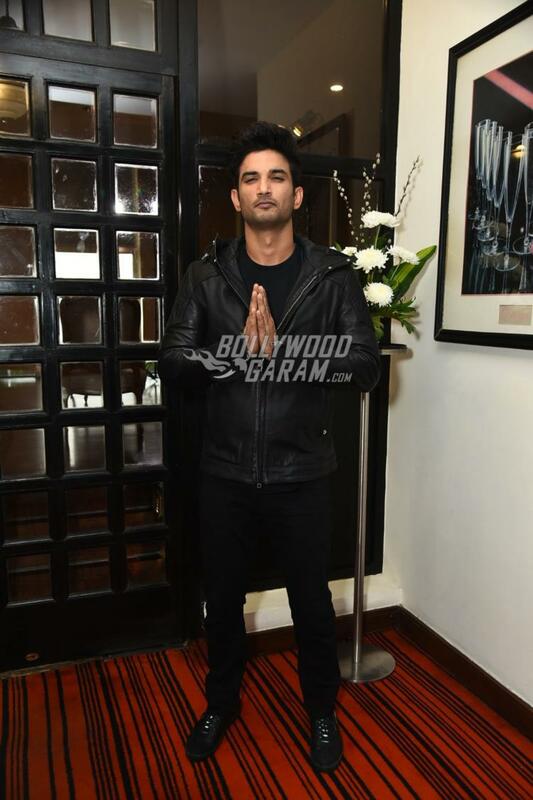 The young actress looked splendid in an ethnic outfit with open hair that had soft curls while co-star Sushant Singh Rajput looked dapper in a black t-shirt, black pants and a black leather jacket with black shoes. The actors were all smiles and pose as they were clicked by the paparazzi. 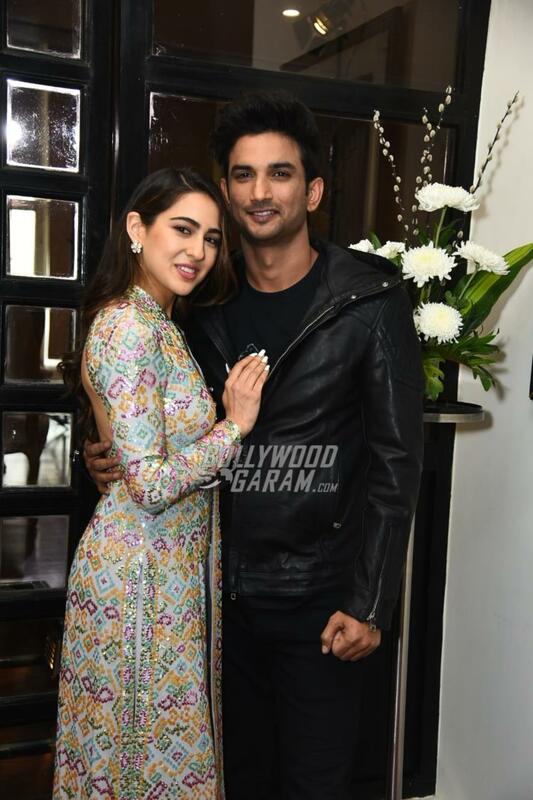 Kedarnath has been in news even before its release as it hit various hurdles due to some misunderstandings between the producers and the director. The film has finally hit the theatres but has been banned in seven states of Uttarakhand.